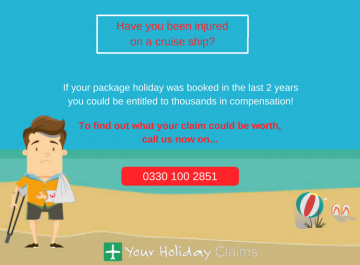 If you have suffered injuries caused by an accident on holiday, you could be entitled to receive thousands of pounds in compensation. 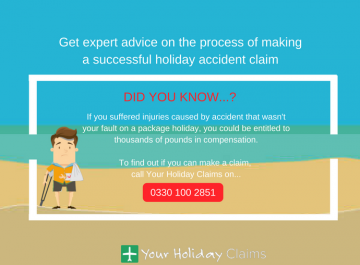 However, it is perfectly understandable that most people would have no idea where to start when making a holiday accident claim. 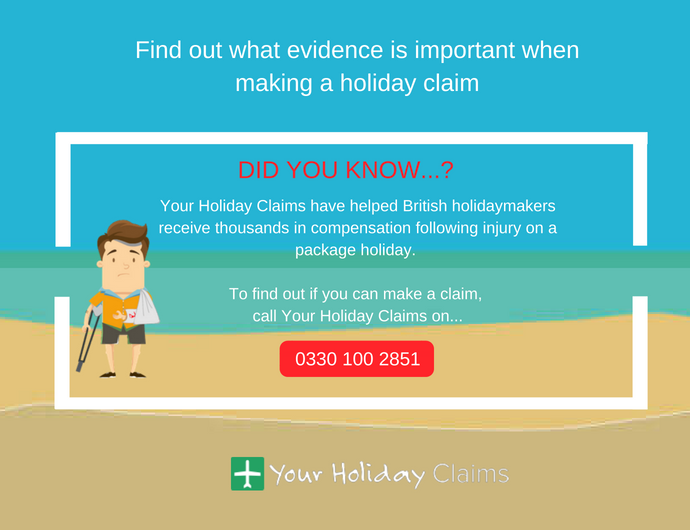 At YourHolidayClaims, our experienced holiday claim solicitors regularly speak to people who are unsure what evidence they will need to support the claim. 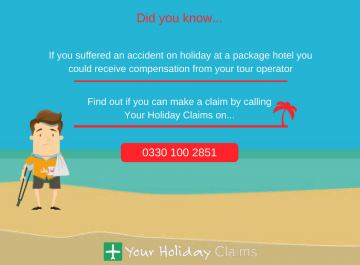 So, we have put together a handy guide on the key evidence that can help you receive the compensation you deserve after an accident on holiday. 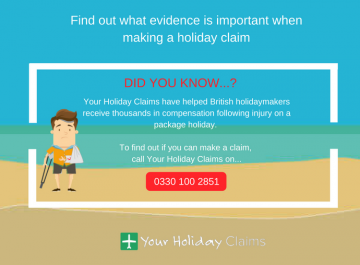 As with any other personal injury claim, it is important to have as much evidence as possible when making a holiday accident claim. 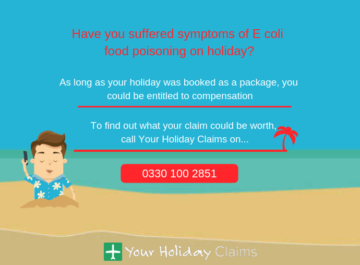 By gathering as much evidence as possible, the specialist solicitors at YourHolidayClaims can help you receive the maximum amount of compensation you are entitled to. 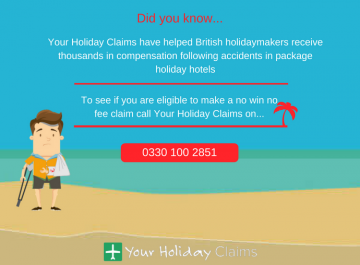 Are you legally entitled to make a holiday accident claim? 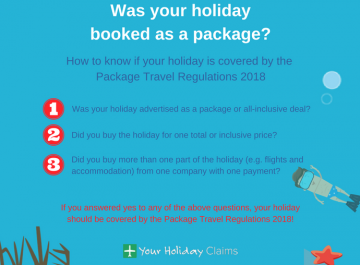 If your holiday was booked as part of a package you will be protected by the Package Travel Arrangements 2018. Under the Package Travel Arrangements, you are legally entitled to expect the accommodation and travel described when you booked the holiday. 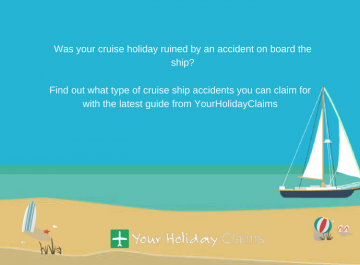 This means that if a failing by a company providing the package holiday has caused your accident, you can bring a holiday accident claim against the tour operator right here in the UK. 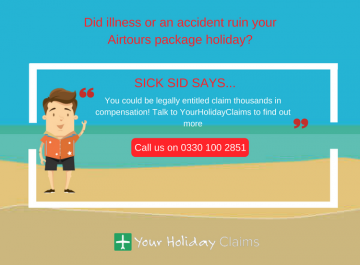 How can YourHolidayClaims help you? The specialist team of solicitors at YourHolidayClaims have over 50 years combined experience helping people receive the compensation they deserve after suffering injuries caused by accidents on holiday. 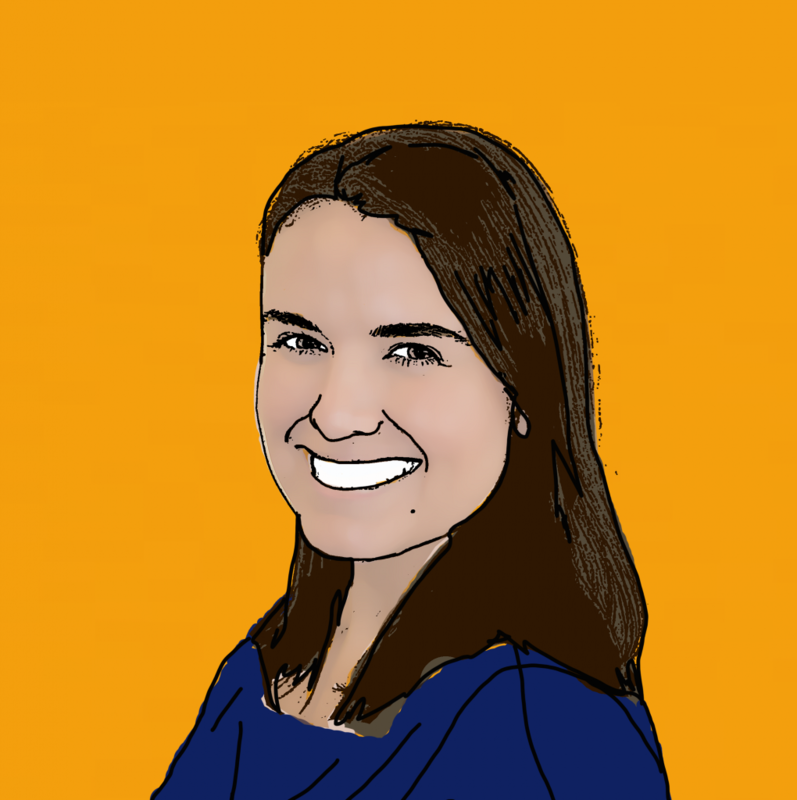 You will have a legal expert dedicated to your case who will deal directly with your tour operator on your behalf. 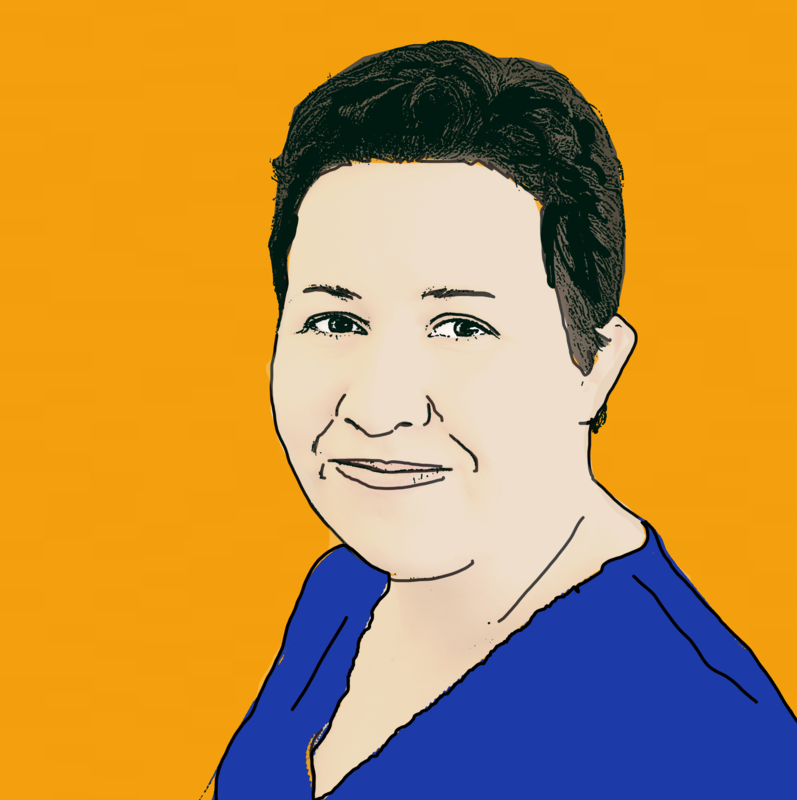 Our specialist team is on hand to ensure that your claim is as hassle-free as possible by keeping you up to date every step of the way. To find out more about how our specialist solicitors can help you receive the compensation you deserve, call us now on 0330 100 2851. 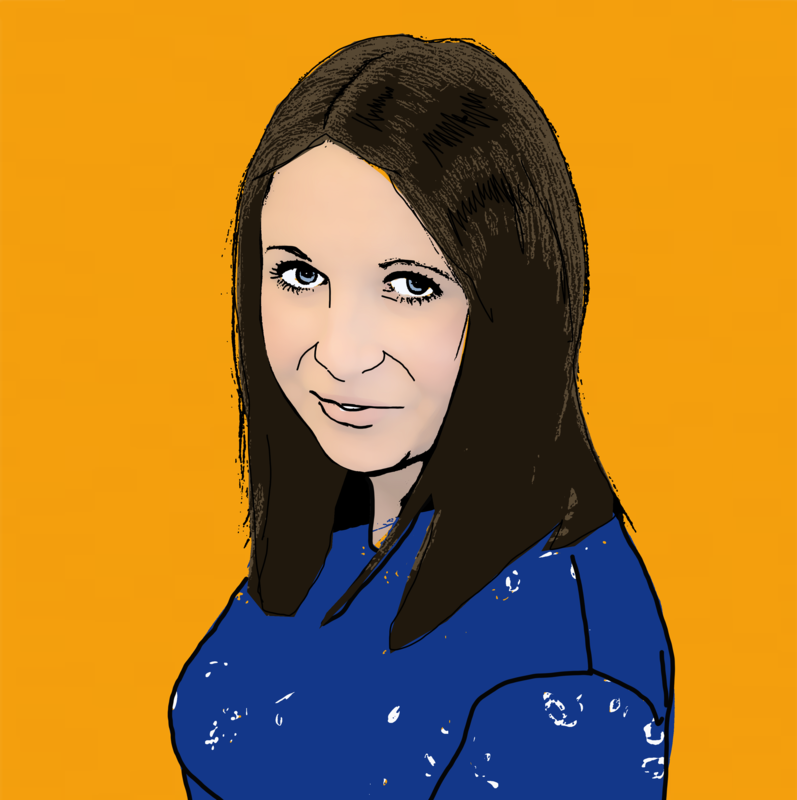 Or, if you’d prefer to arrange a call back with a member of our dedicated team, simply complete our online contact form here.